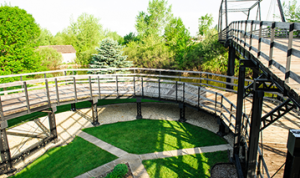 Many have been fascinated by pictures and tales of the spiral bridge which crossed the Mississippi River in Hastings, Minnesota that was torn down in 1951. The spiral span still appears in the logo on city vehicles and city stationery. 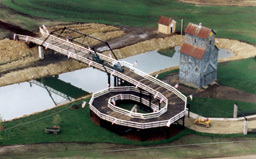 Spiral bridges are a rarity. State and Federal transportation and historic agency officials said they know of no other such bridge in the country. Hazel Jacobsen Theel, who wrote a book about the old bridge, said she knows of only two other spiral bridges located in Japan and Germany. The question of who designed the spiral was debated in local newspapers in the 1940s. Several engineers, elevator owner John Meloy and a Hastings inventor, or their ancestors, all laid claim to the spiral design. 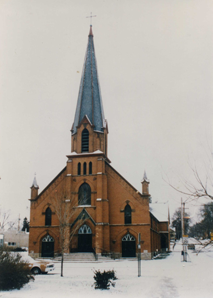 Historic St. Boniface Church originated in Hastings, Minnesota and was built there in 1892. Its congregation used this German Catholic Church until 1995, when a larger church needed to be built. Instead of the planned demolition of the church, Steve and Sylvia Bauer made an offer to move this church to their pioneer village. In order to move this church, it needed to be taken down in pieces. They first started in February 1996, when the cross and steeple were taken down. Eventually, this church was taken down brick by brick. Even the original limestone foundation was preserved and reused. This church was rebuilt to 2/3 the size of the original church building. There are approximately 44,000 bricks on the church, all of which were made at a brick factory in Hastings. The cost at that time was five bricks for a penny. Each window, church pew, light fixture (except three), the woodwork, and the white painted altar located in the west entrance, were part of the original St. Boniface Church. The three main altars came from St. Joseph’s Catholic Church in Jordan, Minnesota. In 1971, St. Joseph’s closed and these altars were donated to Murphy’s Landing in Shakopee. They had been stored there for 25 years and were then put up for sale. This was perfect timing because the church was without altars, so Steve and Sylvia Bauer purchased them for their church. They were then moved here and restored, along with many beautiful statues. The altars are made of black walnut and butternut and were made in 1869 at an orphanage in Columbus, Ohio. The main carpenter for the project was LeRoy Rother. Richard Darson was responsible for the interior painting and woodwork. The Bauers want to extend a special thanks to LeRoy, Richard, and the crew who helped save this church for future generations to enjoy. 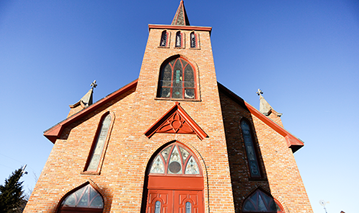 Since the completion of the project in July 1997, the church is used year round for wedding ceremonies. 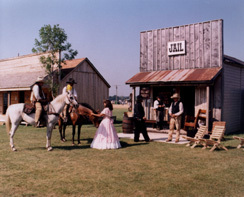 The jail came from the Village of Hampton, Minnesota. It served as the Village’s main jail until after World War II. Until the mid-1900’s, Hampton had over twenty bars which kept the jail quite busy! 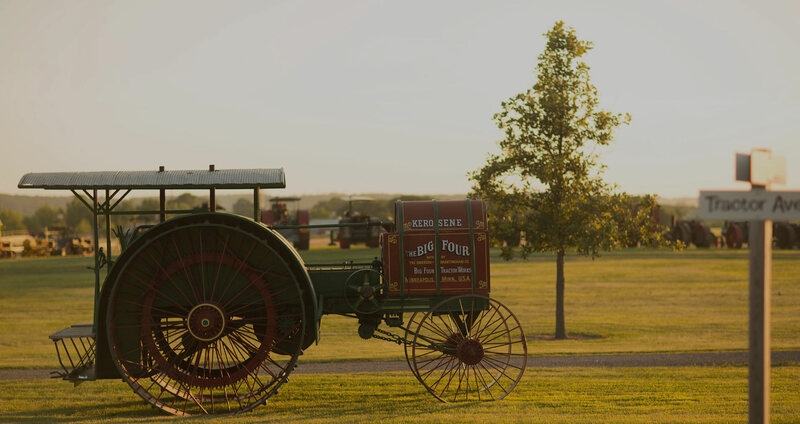 When the time came for the jail to close it was saved from destruction by a local farmer, Harry Schaffer. Mr. Schaffer then donated it to the Little Log House Pioneer Village in the early 1990’s. The Country Saloon was originally built in the 1920’s by a local man by the name of Doc Freimuth and was called the 4-Corner Bar. 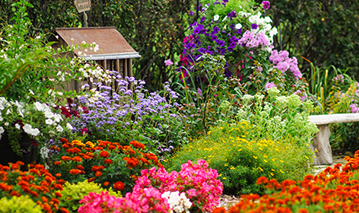 It was located at the intersection of Highway 20, Highway 61, and Highway 50. 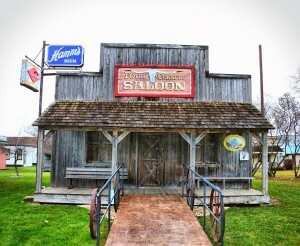 It was closed in the late 1960’s and was a favorite meeting place for a lot of locals. 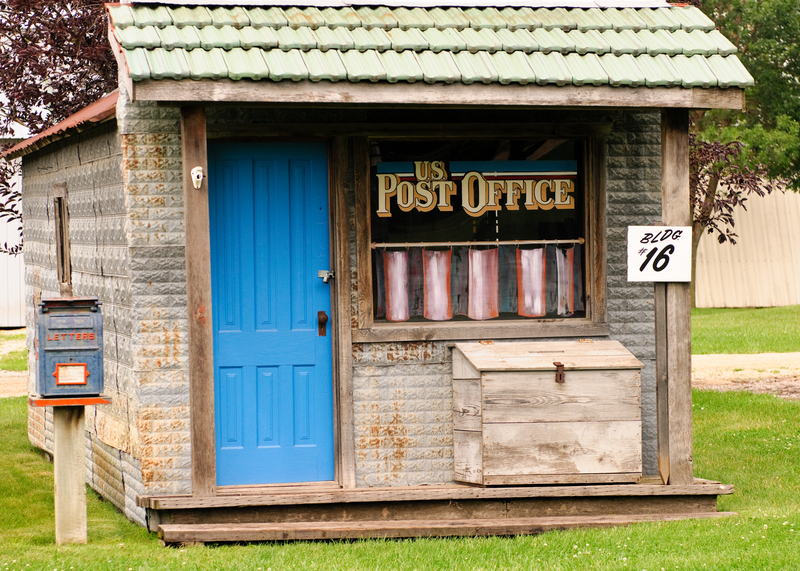 The Post Office was originally built in the late 1800’s and spent most of its life in the little town of Nelson, Minnesota. 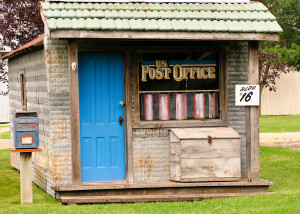 The town outgrew its post office in the late 1920’s. The Train Depot originated in Federal Dam, Minnesota and was built in 1908 by the Soo Line Rail Road. 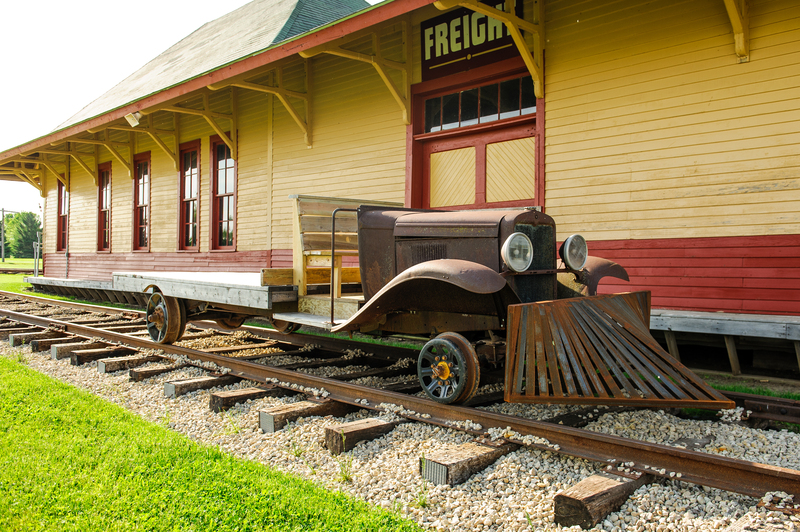 The Soo Line Rail Road was shut down after World War II and the building was moved to an Indian Reservation with plans for renovation. The plans fell through and the depot was sold to a private individual from Boy River, Minnesota. The depot was moved again to Boy River, Minnesota with the idea of making a restaurant out of the building. Once again, the plans fell through. 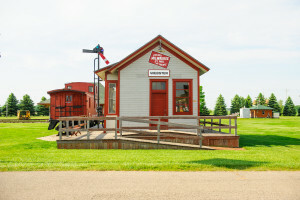 The old depot sat vacant until 1998 when it was obtained by the Bauer’s and moved again to its present home, the Little Log House Pioneer Village. Webster Depot – Authentically equipped 1930s Milwaukee Road depot. The Webster, MN depot was built in 1903 by the Milwaukee Road railroad and served the branch line between Farmington and Mankato until the 1960s. working telegraph equipment, a passenger waiting room, ticket window, and Railway Express Agency counter. The fully loaded freight room contains the original Fairbanks scale and shipping labels. Try your hand at using a telegraph key, admire the old knob and tube electric wiring and watch the model train travel around the top of the freight room.